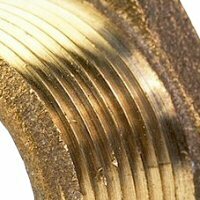 3/16 Tube Poly Flow union tee fittings have a brass body and come complete with a brass insert and a plastic sleeve. Not recommended for steel tubing. Advantages: no flaring of tubing required. Easy installation.